ACTED has been present in Afghanistan since 1993, and operates across northern and eastern provinces. ACTED delivers lifesaving relief to the displaced communities with cash and in-kind assistance, shelters, and water and sanitation infrastructure, whilst contributing to long-term recovery and development by providing education and skills training, investing in agriculture and livelihoods, and strengthening local governance. Afghanistan is suffering from one of the most protracted humanitarian crises worldwide. Over 40 years of conflict and frequent natural disasters continue to undermine its population’s resilience. Returnees from Pakistan and Iran, internally displaced and chronically poor populations share inadequate basic services and scarce livelihood opportunities. The continued deepening and geographic spread of armed conflict in Afghanistan keeps wreaking havocs amongst the population and is expected to leave over three million people in acute need of assistance in 2018. Host, long and recently displaced communities require assistance to meet their food needs, and to have access to water and sanitation facilities, as well as safe shelter and essential household items. In addition, the torn capacity of the government to provide its population with basic services and meaningful opportunities hinders the country’s development, leaving 39% of the population below the poverty line. Built over 25 years of commitment to providing Afghan communities with humanitarian and development assistance, ACTED’s continuous access to areas in need and ability to deliver assistance where others do not go have made the NGO a major aid stakeholder in Afghanistan. Across Northern provinces and increasingly in the Eastern region, interventions link relief, recovery and development, whilst promoting social inclusion and actively integrating marginalized groups.  This extensive community knowledge and multisector expertise are leveraged as part of key programmes, including the Emergency Response Mechanism which provides lifesaving assistance to displaced populations, and the Citizens’ Charter National Priority Programme which strengthens local development planning and governance. 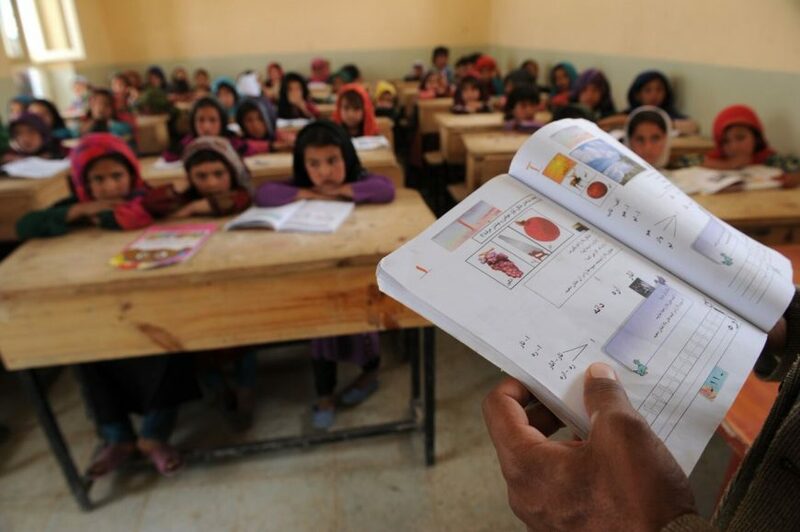 Girls attend class in Mahdi Khuja primary school, Faryab province. In 2017, in Balkh, Jawzjan and Samangan provinces, ACTED implemented a pilot project which fostered a conducive reintegration environment for returnee and displaced populations through community-based protection mechanisms and planning. In addition to improving access to basic services such as water and roads, communities were supported to build on their assets and skills to access livelihood opportunities and engage in collective businesses. The project integrated multiple populations, including hosts and vulnerable groups, to ensure that these community-based mechanisms and initiatives would become a vector for peaceful coexistence and sustainable reintegration of returnee and displaced populations into the Afghan socio-economic fabric. 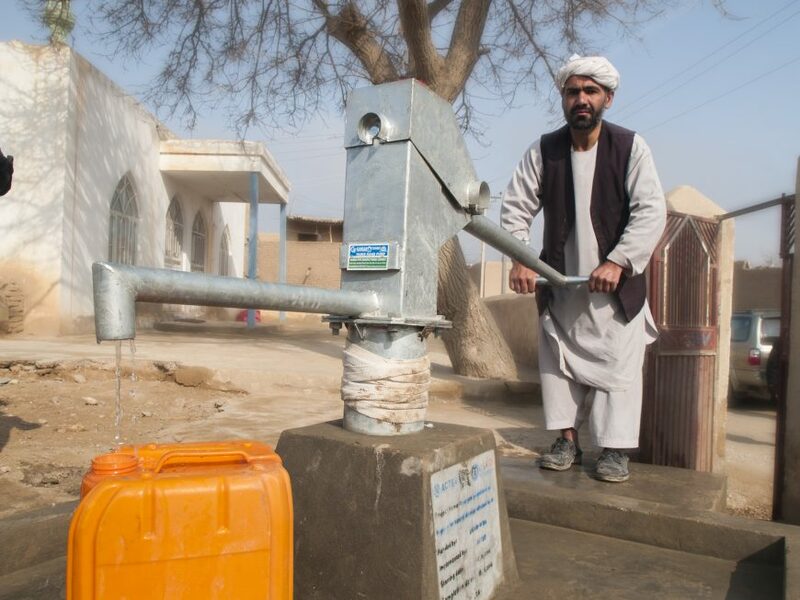 A local man in Khulm district uses a handpump built by ACTED to ensure the community easier access to clean water. 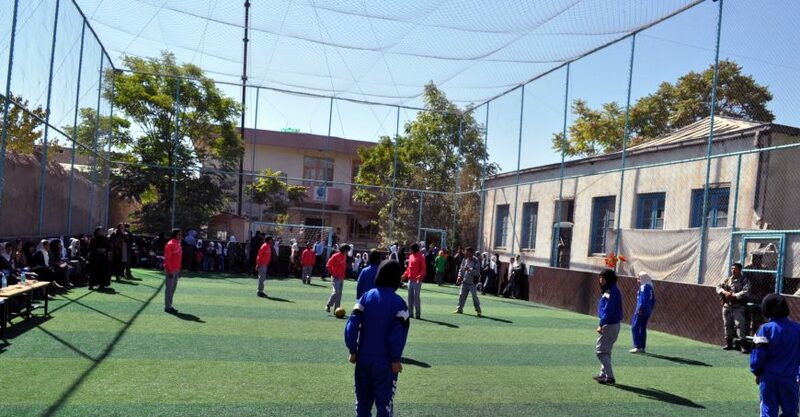 Girls from an ACTED Youth Development Centre play football in a new playground in Maymana, Faryab province. A new canal crosses the mountains of Kohistan. 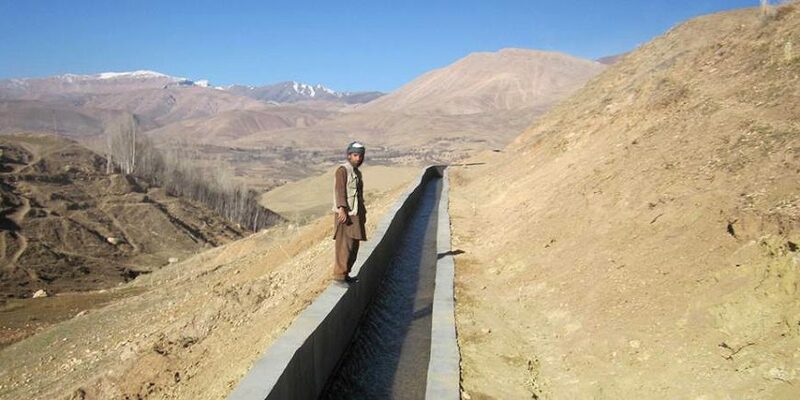 ACTED's Sustained Rural Development Program in Faryab province has created 30,951 new hectares of continuously irrigated land, contributing to Afghanistan's national priority to become less reliant on imported food. 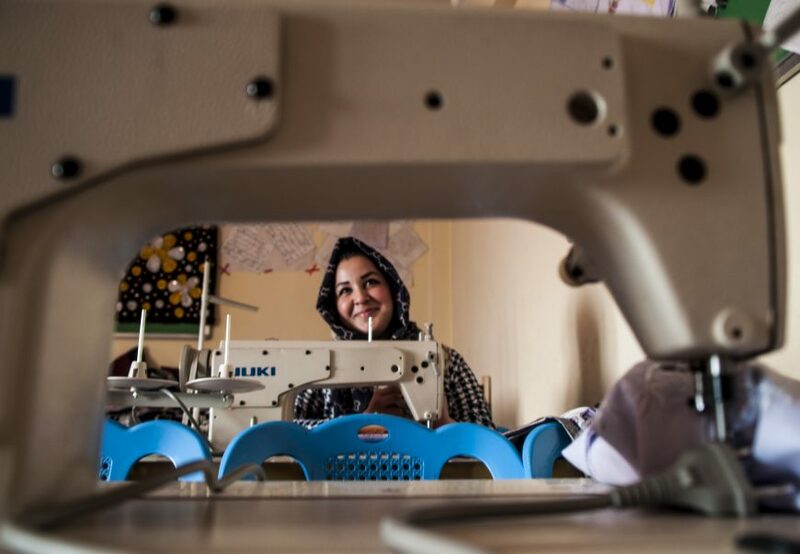 Young women attend embroidery classes in the ACTED Vocational Learning Classes in Deh Naw, Faryab province. 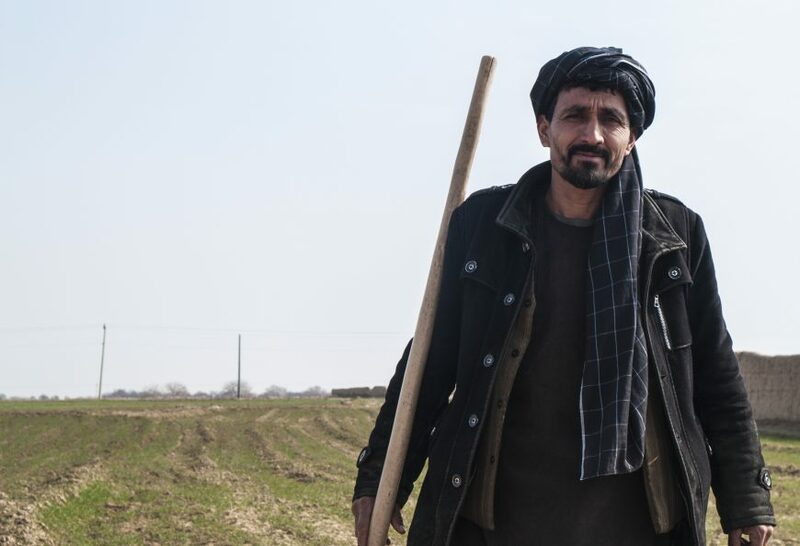 Muwludin, a wheat farmer in Khulm district, Balkh province stands next to his fields. Muwludin said his crop yields had become stronger since he began implementing lessons from an ACTED agricultural training. Najla Noori teaches an afternoon class in embroidery at the ACTED Youth Development Centre in Nowabad-e- Tukmania, Balkh province.